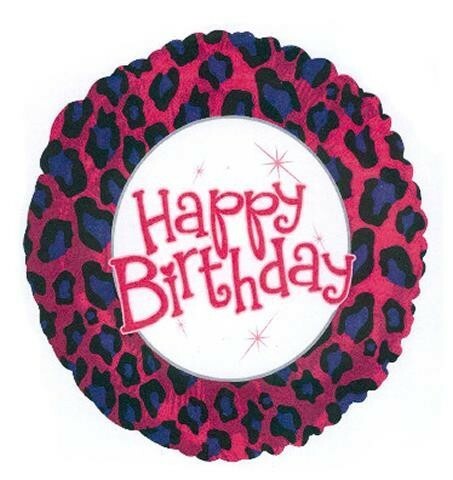 Birthday animal print foil balloon that measures approximately 18 inches. Round shaped balloon with hot pink edge with black and purple animal print. Can be air filled and suspended or helium filled. Perfect gift or decoration.